You've got to be pretty thick skinned to be a Worksop Town fan. The history of the club is such that a book could quite easily be written about the trials, tribulations, triumphs and indeed tragedies of a club that is reputedly the fourth oldest in the World. After winning the Midland League in 1973, the club went on to become a strong Northern Premier League outfit, but then they were evicted from their Central Avenue ground, having to play at Gainsborough Trinity for three seasons while the new home at Sandy Lane was constructed. Fortunes took a downturn on the pitch, they were relegated in 1989 but by 1998 they were back in the top flight of the NPL again, before eventually taking up a place in the inaugural Conference North. This lasted for three seasons but by now trouble was brewing, ownership changed hands, a rich investor had plans, and as is often the case, it started to go wrong. The money dried up, and the new owner decided he quite liked the Sandy Lane ground, but didn't like the football club anything like as much, so they once again suffered eviction while the ground sat idle. 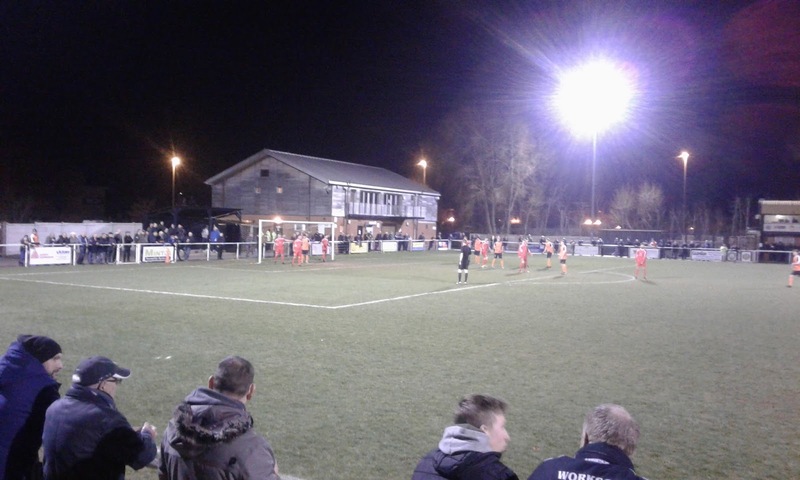 A nomadic spell fell upon the club, stints at Hucknall Town, Retford United and Ilkeston Town followed, it was far from ideal but support stayed loyal and club battled on in the top tier of the NPL. While all this was happening, something was stirring in Sheffield. A wealthy businessman called Pete Whitehead had a plan, and it centred around a County League side called Parramore Sports. He re-housed them at the Don Valley Stadium, changed the name to Sheffield Parramore, and then managed to negotiate the purchase of Sandy Lane. Parramore became Worksop Parramore and up the leagues they climbed. Being a nice chap, Mr Whitehead offered Worksop Town a solution, by giving them the option to become tenants at Sandy Lane, an option which clearly was a very attractive one given what had gone before. All looked good for Worksop, and guess what, in came a new backer, promotion to the Conference North was missed by a play-off whisker, only for it all to go pop almost overnight. Suddenly the befuddled fans of the Tigers were hit with the news that they were going to be starting the 2015-16 season two divisions lower in the Northern Counties East League, the finances were dictating it. Worksop Parramore in the meantime had merged with Handsworth FC to create Handsworth Parramore, and guess what, they were in the same division as Worksop Town! This was going to be fun and games! Both sides were fully intent on going for promotion, but neither achieved it despite strong squads, and rumoured to be sizable budgets. 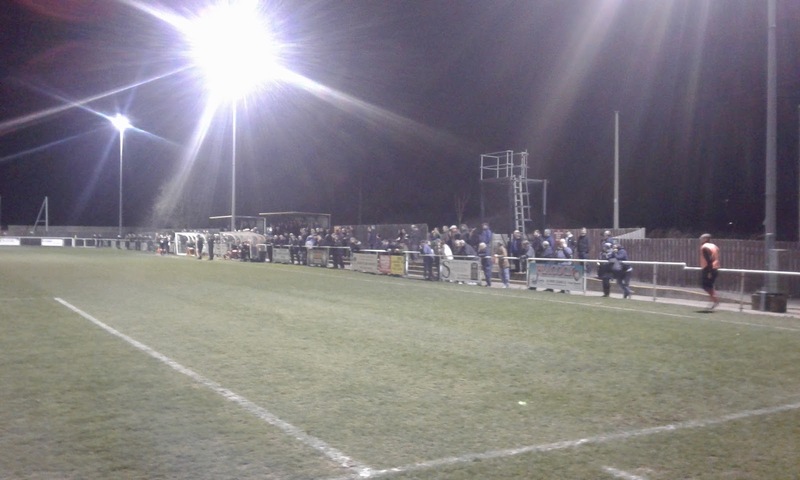 Sadly though Tadcaster Albion had too much for them in what is the NCEL promotion bottleneck. However, in terms of bragging rights, Parramore won both games, 3-2 and 5-0. Going in to this season, expectations were high once again, but Parramore stuttered at the start and Worksop jettisoned some of the higher earners as money once again became an issue. Cleethorpes Town look set to win it, and despite Worksop winning the first meeting this season, they are currently battling to finish in the top half of the table. Parramore will have a fight on to make the top three. So not a great year for Landlord and Tenant at Sandy Lane, so with little at stake other than pride, what was the 'Battle of Bassetlaw' going to look like on a mild Spring evening? A youthful Worksop side started strongly and took the lead through Jack Waddle who was given too much space in the box. It was the hosts who looked in control for the first half an hour as the more experienced visitors (Ok, away dressing room dwellers!) struggled to find any rhythm. However, a great run by Connor Smythe saw his low cross met by Aaron Moxam who netted his 41st of the season from close range. It was tough on Worksop who were certainly the more energetic and workmanlike side in the first period. Steve Warne bundled the ball home early in the second half after what looked suspiciously like a foul on Worksop goalie and gaffer Jon Kennedy, and after that the experience of Parramore saw them restrict the Tigers to limited chances, while at the same time they looked dangerous themselves on the break, indeed coming close to a third when the post was rattled with a fierce shot. The crowd of 378, of which the majority were in the Tigers corner, tried to roar on their young side but it was a bridge too far for them on the night, despite a positive and confident display. In players like Adam Scott, Kyle Jordan, Mitch Husbands, Waddle and the impressive 17 year old Sam Weston, the future on the field is bright for them. Who's Stolen The TV Camera? The banter was good as well. with Worksop's fans dishing plenty out to Parramore, most of which centred around wasting money, a lack of history and the fact they will be meeting once again next season. Sadly though, until Parramore finally get a base in Handsworth, they won't get anything like the kind of support that their ambitions warrant, so in terms of a response, there was little or nothing coming back in return. 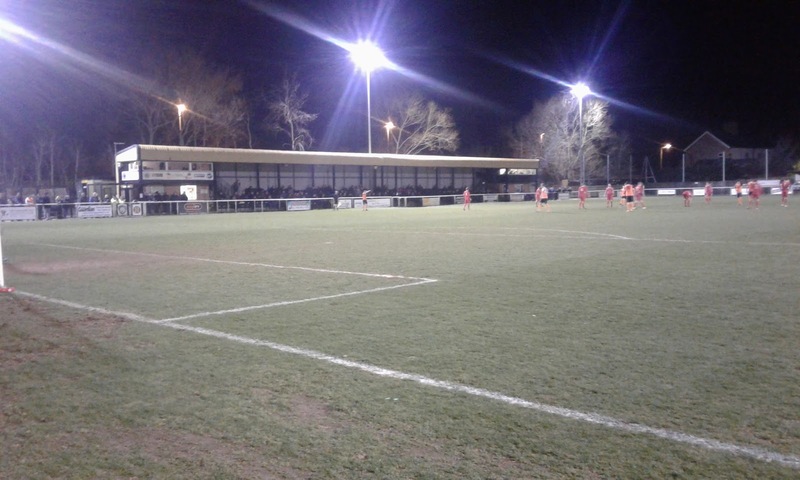 But, in the cold light of day, when it comes to Sandy Lane and Worksop Town's relationship with it, at this moment in time, their destiny is once again very much in the hands of others, and history tells us that isn't a particularly secure relationship to be in. As a Tigers fan, keep growing that skin, you know as well as anyone that the future is far from predictable.